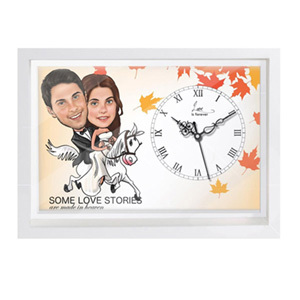 Dimensions: A3 size (approx 11 inch x 16 inch"
HTimeline / Delivery Estimate: 7-8 days"
A professional artist will hand draw a customized poster, based on your description. Show how much you know the person by incorporating them in the poster. The caricature face will be drawn using the photos provided by you. To create these posters we need time. Good things cannot be done in haste, and its not a ready made product that we are selling. Once you place the order, it generally takes us three days to present you the first draft. Sometimes we do deliver it before depending on the work in hand. If there are any changes to be done, if will take another day to complete that. However if the changes and revisions are minor, it can be done sooner. Once the artwork is approved, we send it for printing, packaging and shipping. This process takes 1-2 days, and rest depends on the city where its being shipped to. Generally it takes 2-3 days for the shipment to reach the destination once shipped. In short the entire process takes an average of 7-8 days from placing the order to getting it delivered. Face should be clearly visible. 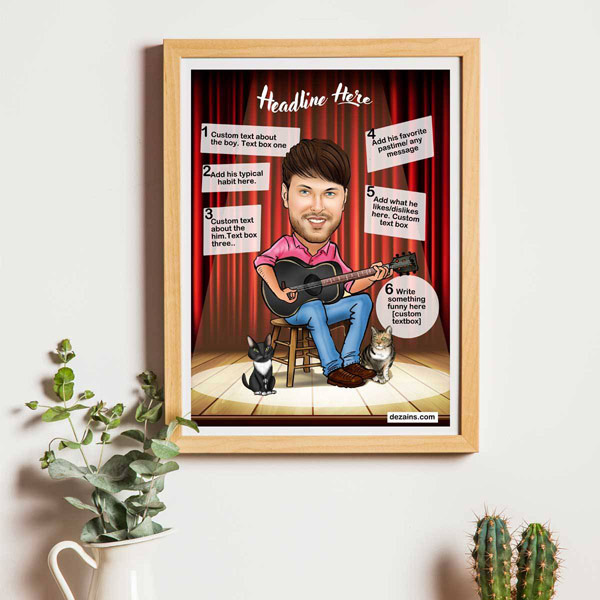 The caricature will match with the photograph, so its advisable to choose a photograph that correctly depicts the person. Enchanged or creative angle photographs are not recommened. For caricature products, each revision will take 1-2 extra days and delivery time will shift accordingly. 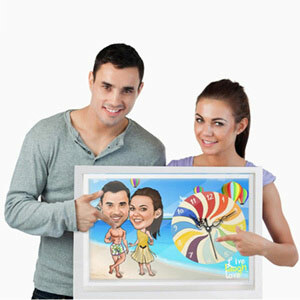 For caricature products, once the caricature is shown for approval, customer can only request changes. If the customer wish to cancel the order thereafter, Rs 500 each caricature face will be deducted from the payment and rest of the amount will be refunded within a week. Caricatures will be drawn based on the photo that the customer sends. Once its drawn and shown to customer, he/she can't send a new photo for the darwing. Fresh face, even of the same person won't be drawn. Only revisions on the artwork is accepted. 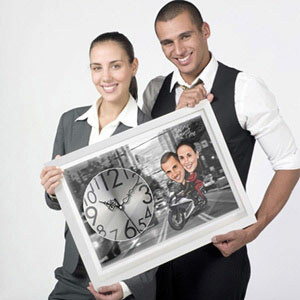 Customers are requested to be extra careful in choosing the correct photograph. For glass engraving products, the design will be as per the template shown. Only the customization details will be replaced by customer inputs. Design of the artwork cannot be changed as per customers request. Customer cannot request order cancellation after the product is ready. Its upto seller to decide if refund in such cases will be initiated or not, depending on the progress of the product development. In case of damanged products received, new shipment will be sent within a week. However the customer has to notify within two days of receiving the damaged product. Customers in such cases need to write and email along with the photos of the damaged product. In any dispute, seller has the right to decide the final conclusion.